Sony Pictures Animation team created a special one-minute segment from the film to help bring attention to the many high tech gadgets and everyday items that come from NASA technology. The educational segment premiered on the Smithsonian Channel during primetime on Tuesday, Nov. 22. It also can be downloaded for use by educators and media. NASA began a historic voyage to Mars with the Nov. 26 launch of the Mars Science Laboratory, which carries a car-sized rover named Curiosity. Liftoff from Cape Canaveral Air Force Station aboard an Atlas V rocket occurred at 10:02 a.m. EST (7:02 a.m. PST). The mission will pioneer precision landing technology and a sky-crane touchdown to place Curiosity near the foot of a mountain inside Gale Crater on Aug. 6, 2012. During a nearly two-year prime mission after landing, the rover will investigate whether the region has ever offered conditions favorable for microbial life, including the chemical ingredients for life. The Sixth Annual Eleanor Roosevelt Middle School’s Rocket Extravaganza Day was conducted this fall. The primary attraction was the launching of the model rockets built during the previous week by all sixth-graders. The launch site was set up so 14 rockets could be launched simultaneously. This was an impressive sight to behold! The budding scientists designed and built balsa wood Crew Exploration Vehicles, each carrying four paint ball “astronauts.” The rocket-powered CEVs were launched along a line running straight into a wall. Some paintball astronauts survived intact; others were a bit messy but very colorful! The day’s festivities included eight other activity stations, which were hosted by staff and students from the University of Northern Iowa, the University of Dubuque and local waste management. Nearly 100 parents, community members and media personnel attended and had a great time. 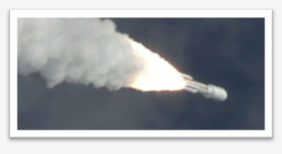 For more great rocketry activities, check out the NES Lesson: Center of Mass and Center of Pressure: Engineering a Stable Rocket. Expedition 29 crew members Anton Shkaplerov, Anatoly Ivanishin and Dan Burbank are on their way to the International Space Station. The Soyuz TMA-22 spacecraft carrying the new trio launched from Baikonur Cosmodrome, Kazakhstan, at 11:14 p.m. EST Sunday, Nov. 13. The Soyuz TMA-22 will dock to the Poisk mini-research module at 12:33 a.m. Wednesday. Expedition 29 Commander Mike Fossum and Flight Engineers Satoshi Furukawa and Sergei Volkov will welcome their new crewmates a little while later when they open the hatches about 2:55 a.m. Shkaplerov, Ivanishin and Burbank are scheduled to live and work aboard the orbiting laboratory until March. NASA astronaut and Flight Engineer Dan Burbank is making his third visit to the International Space Station. His previous two visits were both aboard space shuttle Atlantis. He helped prepare the station for its first crew during STS-106 and helped install the P3/P4 truss during STS-115. Shkaplerov and Ivanishin, both flight engineers, are beginning their first mission as cosmonauts. Expedition 29 will end when Fossum, Furukawa and Volkov undock from the Rassvet mini-research module inside the Soyuz TMA-02M Nov. 21. The outgoing trio will land in the steppe of Kazakhstan at 9:25 p.m. (8:25 a.m. Baikonur time Nov. 22). Expedition 30 will officially begin when the Soyuz TMA-02M undocks. Burbank will take over station command in a ceremony scheduled to take place on Nov. 20. This NASA Now program shows how re-examining moon data from the Apollo days with modern technology helps scientists determine the structure of the moon’s interior. This program is available on the NASA Explorer Schools Virtual Campus beginning Nov. 16, 2011. 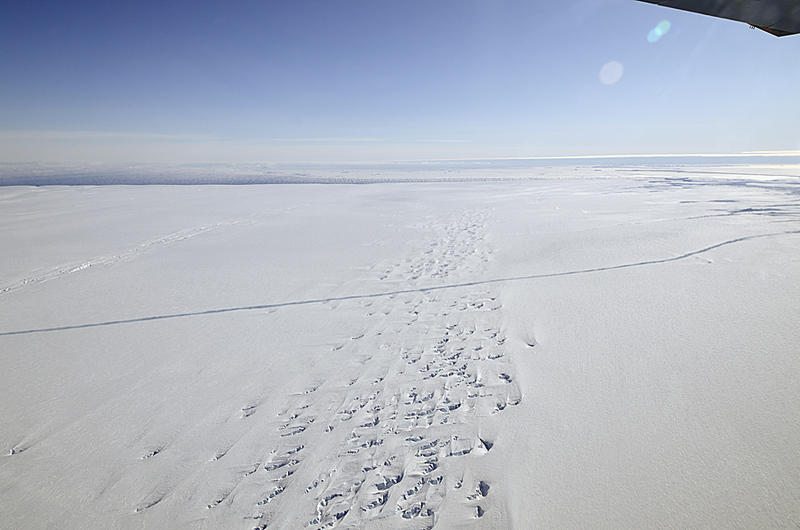 After a series of successful flights over Antarctica and its surrounding waters and sea ice, one of the more interesting things NASA’s Operation IceBridge team has seen this year is a large crack running across the floating ice shelf of Pine Island Glacier. The team observed the crack on the DC-8’s Oct. 14 flight. For more information about this fascinating discovery, read the mission’s blog post. NASA Explorer Schools educator Joseph Molyson and his students at Houston County High School completed a Gamma Ray Burst Education Unit where students plot high-energy gamma-ray bursts. This is a great activity for 11th- and 12th-graders in astronomy or physics class. The unit may be done as an extension activity for the NES lesson, Electromagnetic Spectrum: Remote Sensing Ices on Mars.